"If water rises, it would probably flood my street," says Annie Hackett, who lives in Foster City, Calif., on San Francisco Bay. But climate scientists say it's not if but when: rising sea levels are going to change her life. Annie Hackett, 20, looks out at the water less than 20 metres from the Erckenbrack Park playground in which she's standing. 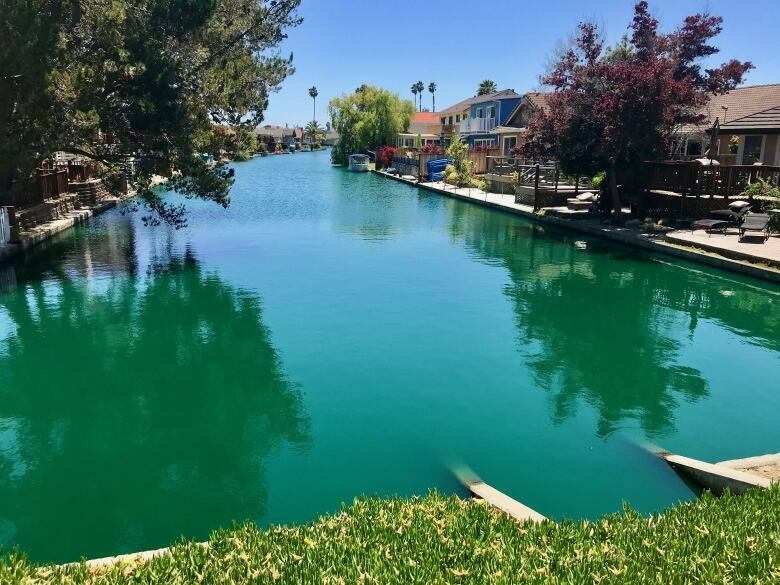 She lives in Foster City, Calif., a planned suburb of about 30,000 people built along a chain of canals and waterways southeast of San Francisco. 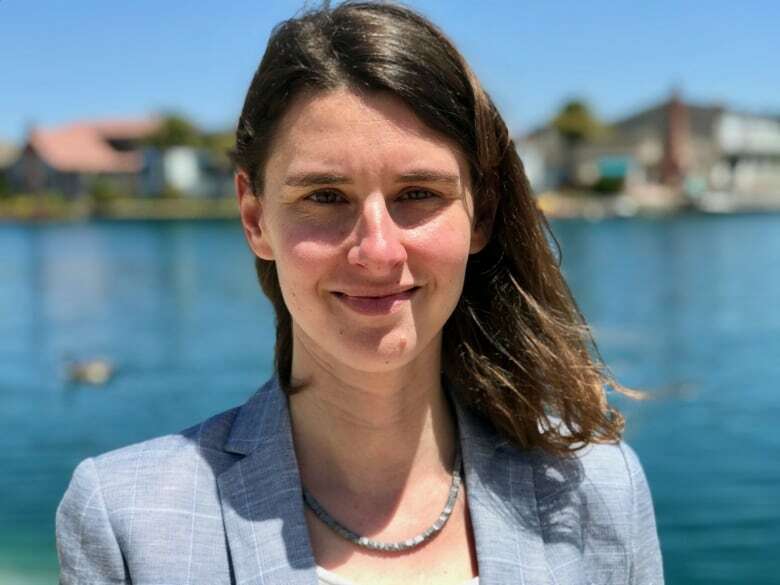 Hackett believes in climate science and has heard about how profoundly rising sea levels will affect the San Francisco Bay area. And more often than she cares to admit, she imagines the waves lapping hungrily at her front porch. "My house is feet from the water," Hackett says. "So if the water rises it would probably flood my street." But according to a recent report by the Union of Concerned Scientists, it's not "if the water rises," it's when. And the people at risk aren't a distant generation yet unborn. They're Hackett's own. 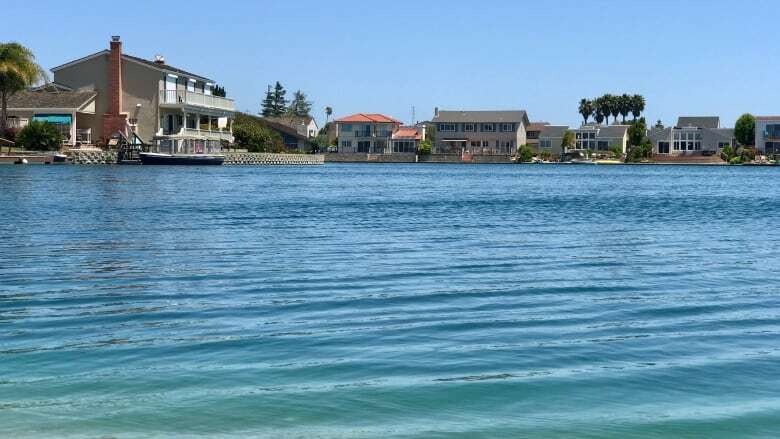 Kristina Dahl walks across a beach that rings one of Foster City's many lagoons, looking out at the houses that were built metres from the shoreline. She won't hazard a guess as to how many homes are in danger of severe flooding. But she agrees: it's a good thing many of the homeowners have boats. "Within the next 30 years, we could see up to two feet of sea level rise in this area," Dahl says. 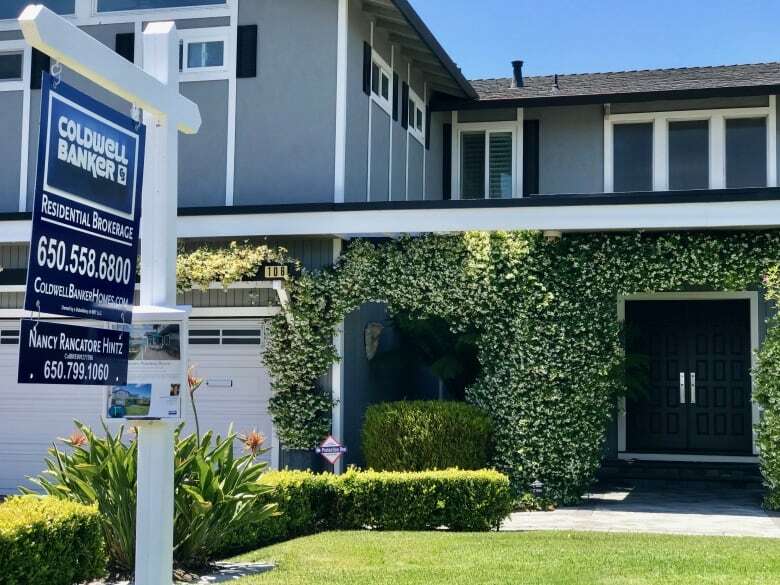 The Union of Concerned Scientists' study compared the U.S government's latest sea level rise predictions with current real estate data provided by Zillow. Those numbers suggest many more homes in the U.S. than predicted are at risk of repeated flooding. "We found that within 30 years, which is the lifetime of a mortgage today, there are over 300,000 homes at risk of chronic inundation," Dahl says. "By the end of the century, we found that there are over 2.5 million commercial and residential properties at risk of chronic inundation. Those are valued today at over a trillion dollars." The Federal Emergency Management Agency puts out maps that predict the risk of flooding for neighbourhoods across the country. 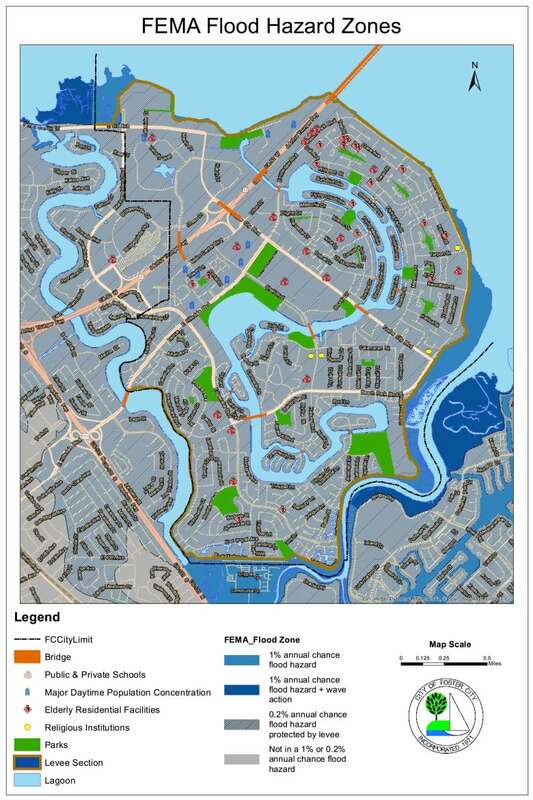 But the FEMA maps don't take sea level rise into consideration, which is one of the reasons Dahl believes many U.S. homeowners may be underestimating the threat of chronic inundation, defined as flooding on average every second week. "A lot of the risks that coastal properties are facing aren't reflected yet in the current real estate market," Dahl says. "People perceive it as a problem that will affect them much later in the century, but our work is showing that this frequent flooding will affect people and property much earlier." 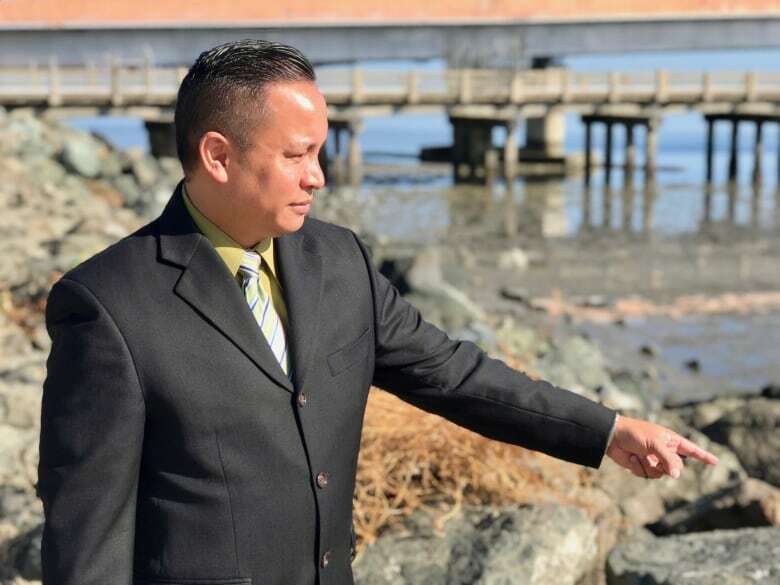 It's a threat many in Foster City are taking seriously, because not only is the sea rising, the land their city is built on is slowly sinking into the ocean. 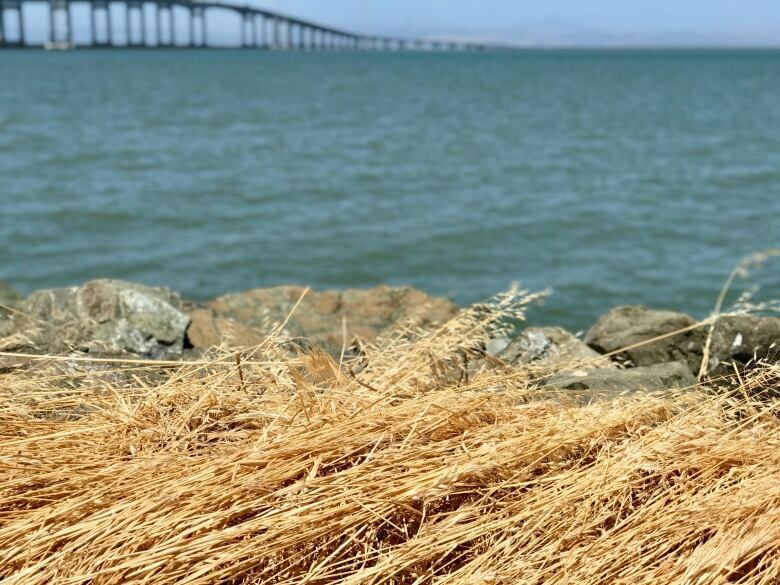 Much of the Bay area is actually reclaimed land, built on engineered landfill, and Foster City is sinking faster than almost anywhere else in California: as much as two centimetres a year, according to Foster City's public works director Jeff Moneda. Standing on the stony top of a levee that protects much of Foster City from the sea, Moneda says the water levels at times rise high enough to splash over the levee and onto a trail several metres away. "Wave overtopping could cause flooding in the future," Moneda says. "The measurements are actually showing that there is a curve of sea level rise that starts off gradual with time and then it spikes as the years progress." What should Vancouver's waterfront look like in 30 years? To address the threat, during the recent primary elections the city proposed a ballot measure: $90 million US worth of property tax increases to fund raising the levees by 2½ metres. 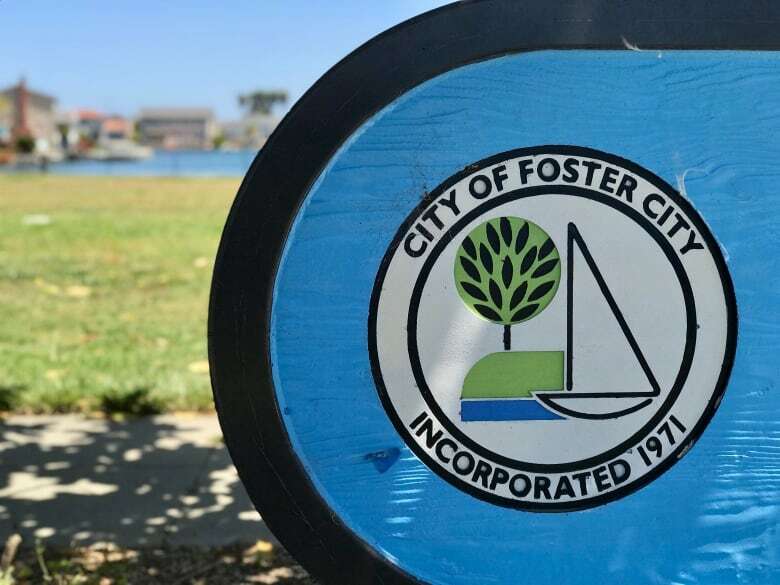 Foster City residents voted yes, by more than 80 per cent. Once the levees are upgraded, Moneda says, they should be high enough to meet the projected sea level rise, at least until 2050. "If sea level rise occurs sooner than year 2050, then prior to that we would have to evaluate and come up with a solution," Moneda says. Larger-scale infrastructure improvements that could be needed — like raising bridges and moving freeways, not just locally, but across all coastal communities — would cost billions. Dahl says it would be much cheaper in the long run for the federal government to spend on disaster prevention instead of disaster relief — "so that we're not just rebuilding in the wake of disasters, but we're thinking ahead. The longer we wait, the harder this problem will be to deal with." There are two clear options, Dahl says. Fight the sea by building up, as they're doing in Foster City, or retreat. "Sea level rise is a slow moving disaster, and we need to prepare for it ahead of time," Dahl says. 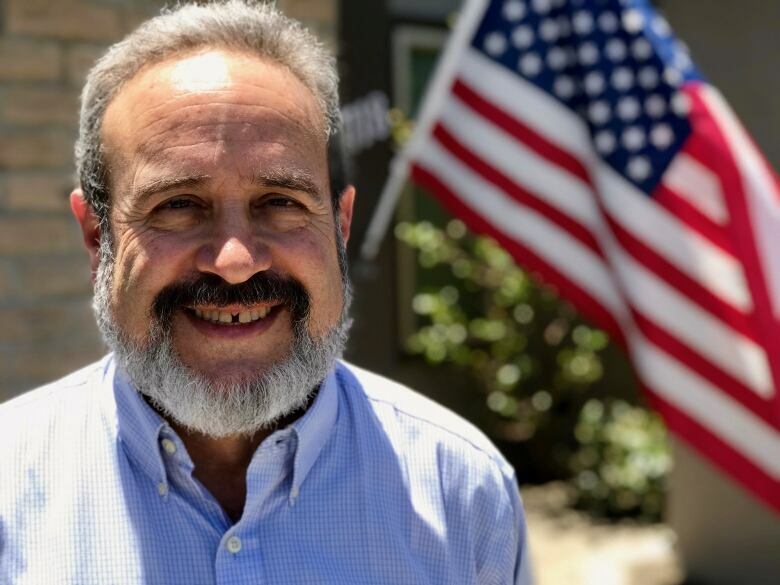 People who live in Foster City like Howard Hertz are asking themselves: if you build up, how high? And if you retreat, how far? "I think they're real concerns that will have to be addressed in the next hundred years, or we will be standing in water past my neck," Hertz says. "The risk cannot be ameliorated simply by wishful thinking." Hertz says he has little faith that the Trump administration, which he feels puts little stock in climate science. "I don't feel that our president and much of the Republican controlled Congress is concerned about much more than today," Hertz says. "I can't see any organization or even government being able to pay for remediation if it's allowed to happen. Nobody has that much money."